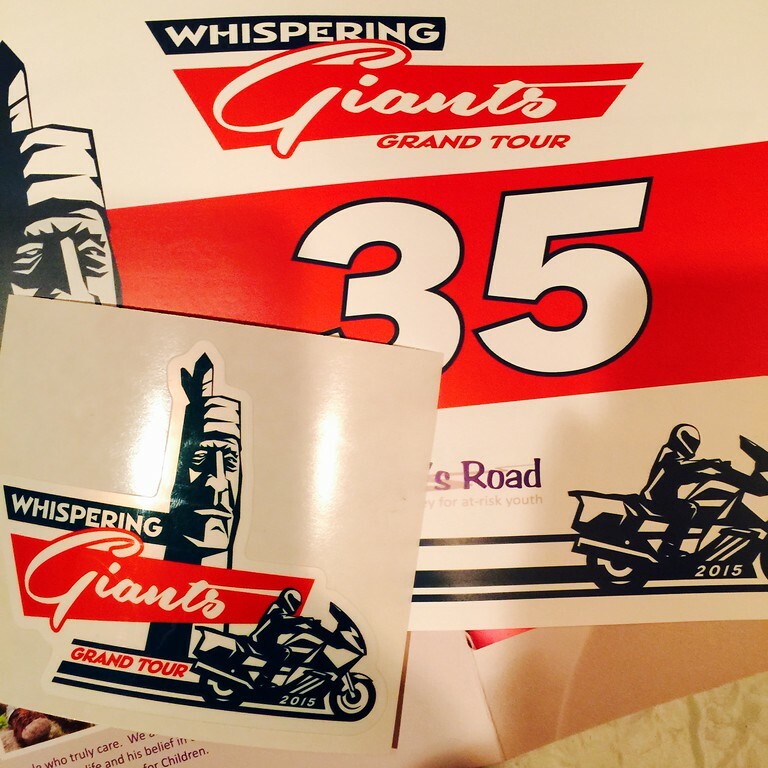 When announced in late 2014, I decided to sign myself up to take part in the Whispering Giants Grand Tour. This weekend I received my rider flag and a spiffy sticker. 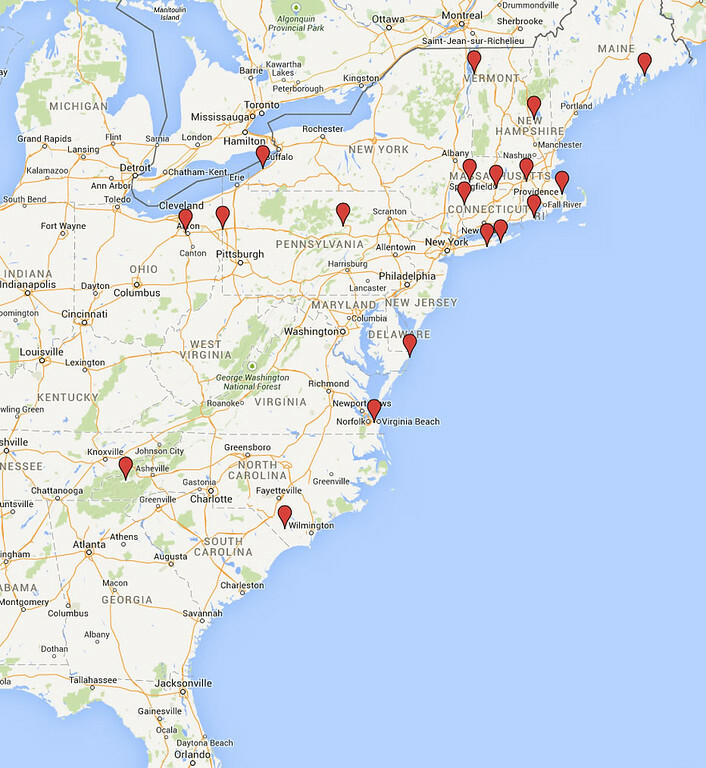 Even though the tour runs for like 8 months, I don’t see myself riding to the far-flung corners of the US this year. But I suppose anything is possible. Especially if you don’t have plans. These are the “doable” locations on the map where I’ve research that there is in fact an accessible Giant or points opportunity. Though there are many Giants listed in the database as existing a little sleuthing may be needed before heading out to visit the locations. Some of them are out of view for repair, were destroyed or have gone missing. Three such Giants that fit that bill were in Wheeling, WV, Groton, CT and Atlantic City, NJ. Each of those was in easy snagging distance for me. In addition to the Giants themselves there is an opportunity to pick up points for a photo of the Commonwealth of Massachusetts flag flying, which features an Algonquin on it and up to 3 Native American Reservation boundary signs. That quad of photos is good for 20 points. Picking up at least 30 points will make me a finisher. But, I’m actually quite looking forward to getting out on the road and visiting the Giants themselves. I see some good day trips in my future. When visiting the giants, keep your ears open for whispered words of wisdom, and be sure to share your insights. Going to grab the IL Giants this weekend. I wasn’t aware of a Whispering Giant in Atlantic City. I know there are two in Delaware, one in Ocean City and the other in Roehobeth.